When I started my cooking for BM#39, I started with Bengali dishes. Somehow I have such fondness and enjoy Bengali cuisine. Though I confess I do make it much more spicier than it might be. I don't know. However I enjoy making it. When it was Dhokar Dalna or the many previous bengali dishes that I have prepared, everybody at home loved it. So having decided on the dish, I was in search of the recipes and landed in couple of bengali blogs. Finally I wrote to Sandeepa for clarification. She was so sweet to explain everything and even shared her links for the Bengali Garam Masala and Bhaja Masala. Though we use many such spice mixes in south cuisine, I always wonder why none of our ancestors tagged them with specific names. 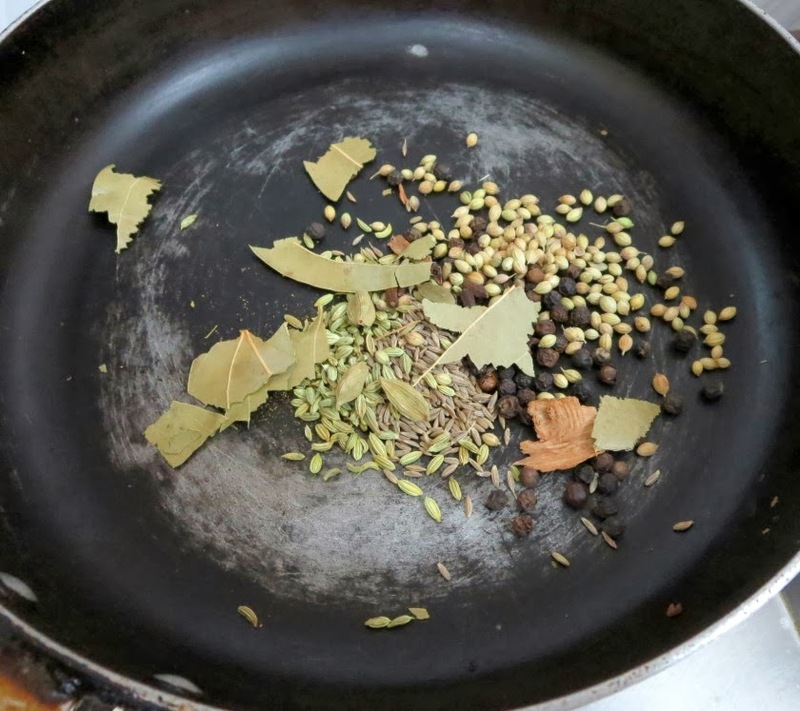 Like the Panch Phoron, we use a very similar whole spice mix in our Sambars, Tamarind Bases Gravies. Infact I have it always stocked so that I don't have to keep mixing it. However our elders have not been so innovative like the Bengalis to name. 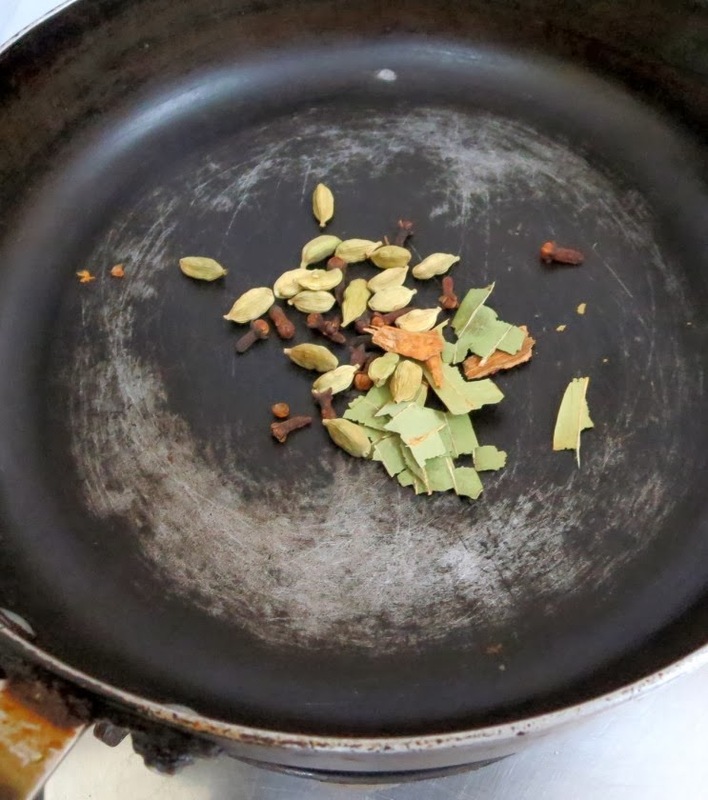 Well anyway coming to the Bengali Garam Masala, it is a simple mix of 4 spices: Cloves, Cardamom, Cinnamon and Tej Patta. 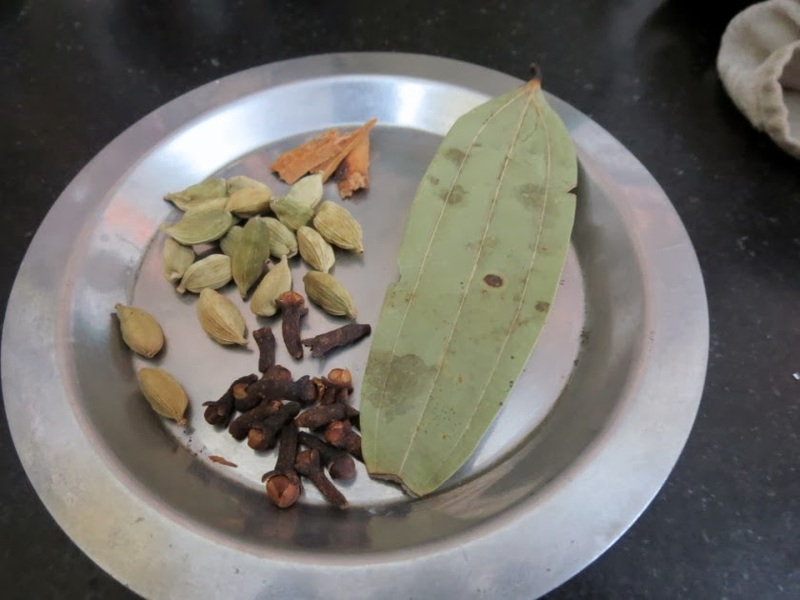 According to Sandeepa, the Tej Patta is often abandoned many times in favor of the others. However her mom always added it if a dish required tempering. 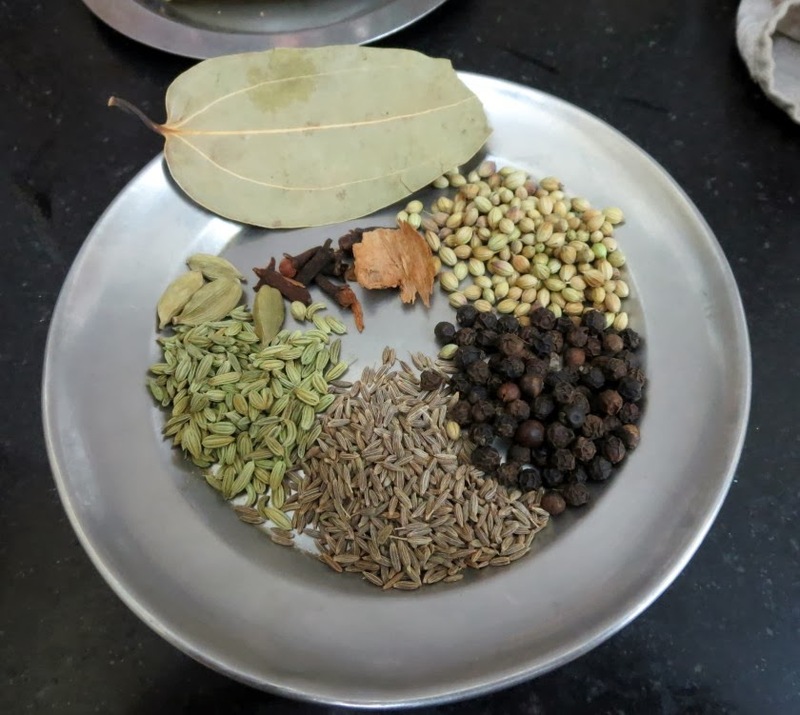 She also said she addes some more spices to her garam masala. I didn't want to move from anything authentic and kept to this. 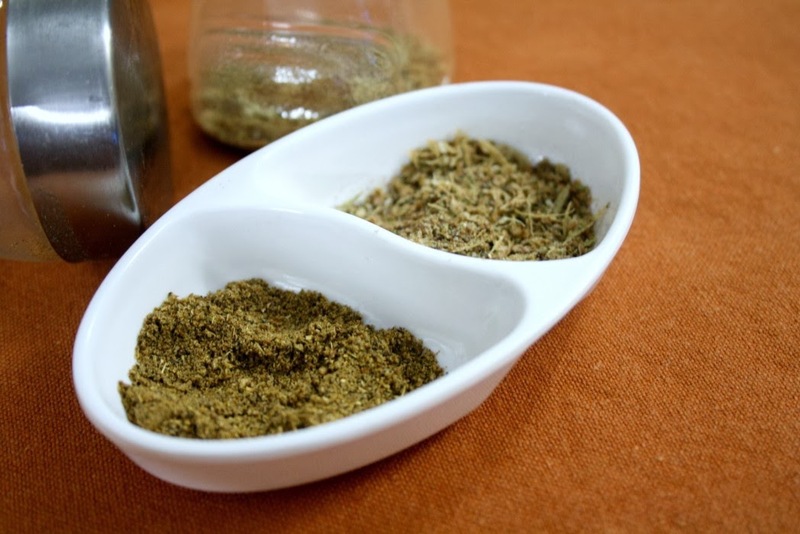 This spice mix can be simply dry roasted either on the stove top or pop them in the oven at 125 C for 5-8 minutes. The roasting is done only to warm the spices which have been lying around for a while. Instead you can sun them and then grind. 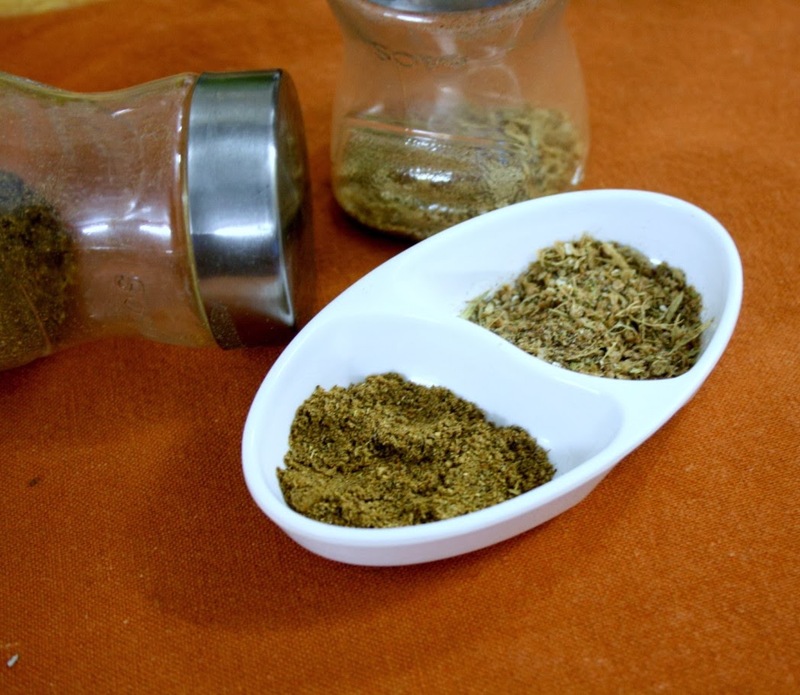 Grind to a fine powder and store in an air-tight container for future use. On the other hand this Bhaja Masala is used to sprinkling over most chutneys and also in vegetable chops. Store these in air tight containers and freeze. These surely stays fresh for a long time. You will get to read on the interesting dishes prepared from these spices in later on editions of BM!